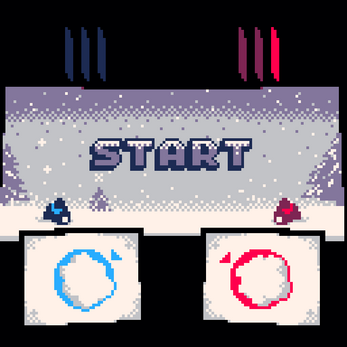 A blizzard duel between rivals! Grab a friend or play against the computer in this one-on-one stand-off. 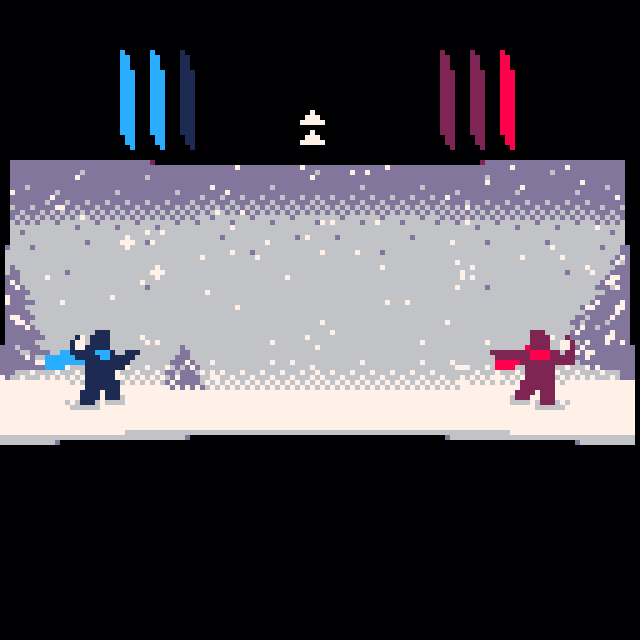 Created as part of PICO-8 Advent Calendar 2018. Goal: Win a best of five against your opponent. Mash the button to create your snowball, and then time your throw carefully. 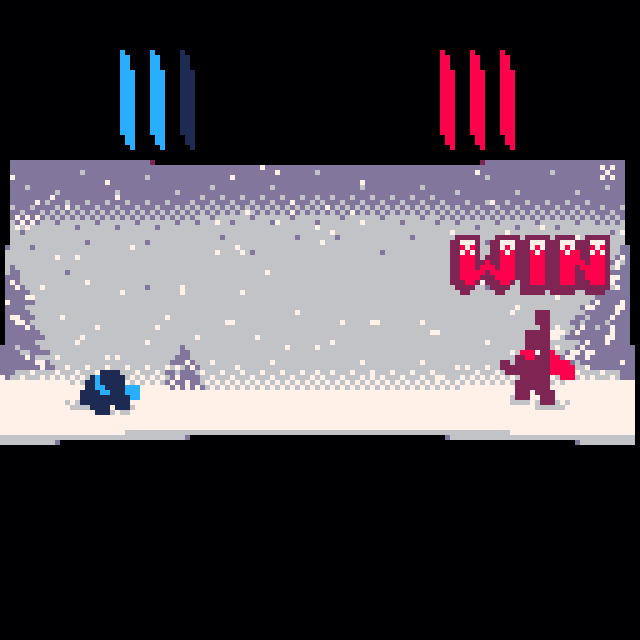 If you throw your snowball right before getting hit, you'll dodge your opponent's attack! And as always... thank you for playing! Amazing presentation/art. Love the scarf animation and how well you used the colour palette.